Who else about fell on the floor when they heard about the new Hard Candy nail polishes? I was so excited! I think one of the most difficult things to find in the nail polish market are funky, fun, and creative nail polish colors sold in major stores and at an affordable price. Hard Candy has introduced an amazing nail polish selection that is sold at Walmart for $3.97 a piece! This is just an absolute win-win situation. I am thrilled, and I know many of you are too! I picked up a few shades the other week, and want to show you one of my favorites today. 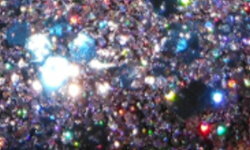 So So Sequin is a mixture of pale pink glitter, holographic micro glitters, and a medium light blue hex glitters in a clear base. This is bling city people! So So Sequin is part of the Glitterazi line of these new polishes I love this combination of colors, and the holographic glitter is spectacular. I think this one would be betters suited layered over another color. I used 2 coats over a base here. This could be built up on its own, but I feel the glitter pops so much better against a base. 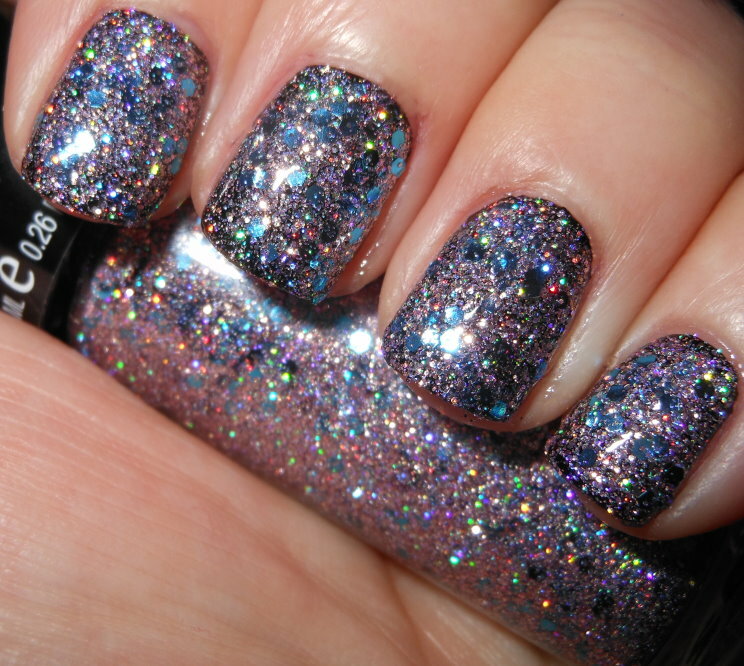 The formula was a pinch on the thicker side, but I'd expect that with a glitter like this. I did not find it difficult to apply. Oh wow. This is awesome! This is so pretty. I really regret not picking it up when I had the chance! The last time I was at Walmart, the display was pretty empty. This one is SUPER blingy - wow! I am so impressed by all their recent releases. This is just lovely! Wow this is killer! I didn't pick her up but might have to! this is one of my favorites! I think it looks great layered over a robin's egg blue.